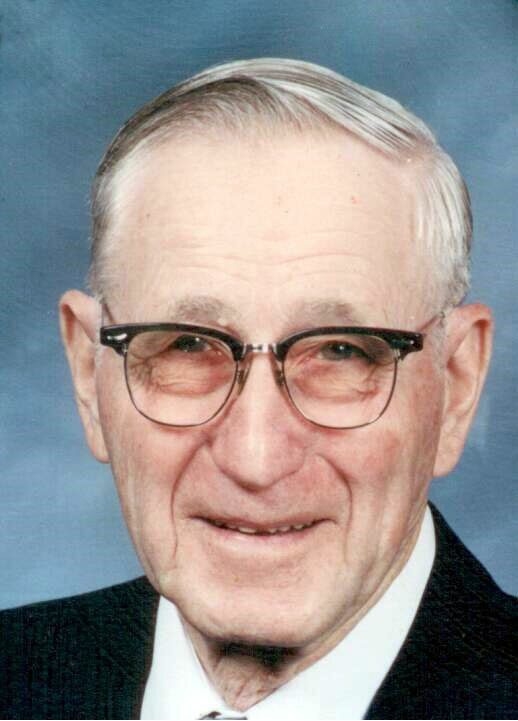 Raymond N. James, 100, of Wellsville, passed away Saturday, February 10, 2018, at his home. He was born October 8, 1917, in LaRue, OH, the son of the late Hughie and Virgie (Roush) James. In addition to his parents, Ray was preceded in death on August 25, 2011, by his wife, M. Marcella (Fetter) James, whom he married July 19, 1944. He was also preceded in death by one son, Paul James; one granddaughter, Rachel Rebecka James; two great-grandchildren: Emily Bailey and Jonathan Wright; five sisters: Lilia Mae James, Mabel Beihl, Doris Roszman, Thelma Hickman, and Janet Graham; and five brothers: Earl, Maurice, Donald, Herb, and John James. Ray had been employed for thirty years as a control room operator for the former Ohio Edison Power Plant before retiring in 1979. He was a seventy-five year member of the Yellow Creek Grange, as well as a member of the Pomona State Grange and the National Grange. He was also a member of the Southern Ruritans, Wellsville F&AM Lodge 180, 32nd Scottish Rite of Steubenville, and was a former member of the farm bureau. Ray had been a member of the St. John’s Lutheran Church in East Liverpool since 1962. Survivors include two daughters: Joyce Bailey and her husband, Jim, of Rogers, and Barbara Welch of Wellsville; two sons: Jack James and his wife, Alcinda, of Irondale, and Tim James and his wife, Cindy, of Homestead, FL; and four sisters: Marquerite Hickman of Morrell, OH, Mary Hughes of LaRue, OH, Virgie Ann Kinsler of New Bloomington, OH, and Betty L. Jones of Marion, OH. Also surviving are sixteen grandchildren: Jim Bailey, Joe Bailey, Jason Bailey, Marcia Brandt, Debbie Hale, Alan James, Jeff James, Tim James, Rick James, Emma James, Caleb James, Olivia James, Jodee Kessler, Jamee Welch, Jackee Bosco, and Jessee Scott; twenty-eight great-grandchildren: Matt Bailey, Katie Bailey, Emma Bailey, Sara Bailey, Justin Bailey, Cassie Brandt, Bailey Brandt, Allie Hale, Rachel Hale, Sylvia Hale, Jackalynn Hale, Elmer Buckingham, Lacey James, Dean James, Marlena James, Andrew James, Benjamin James, Amelia James, Kaylee Smith, Karsyn Crissman, Johnna Moore, Chloe Kessler, Colin Kessler, Angelina Lopez, Natalia Lopez, Maddox Bosco, Mackenzie Bosco, and Riley Johnson; and one great-great-granddaughter, Reila Penrod. The funeral service will be held at 7:00 pm Thursday, February 15, 2018, at the Roberts Funeral Home with Pastor Eric Edwards of the church officiating. Friends may call from 1:00-3:00 and 5:00-7:00 pm Thursday at the Roberts Funeral Home, 631 Main Street in Wellsville. A funeral service will also be held at the Stofcheck-Ballinger Funeral Home, LaRue, on Saturday, February 17, 2018, at 1:00 PM. Friends may call from 11:00 am until the time of the service at the funeral home. Burial will follow in LaRue Cemetery. In lieu of flowers, the family requests that memorial donations be made in Ray's name to: St. John Lutheran Church, 400 Hill Blvd., East Liverpool, OH 43920. The family wishes to extend its heartfelt thanks to the dedicated staff of Hospice of the Valley. We were so saddened to hear about Uncle Raymond. We can not be at the funeral. Spending the winter in Florida Our prayers go out to the James family. Sorry to hear that Raymond has been called home. We apologize that we will not be able to attend the service as we are out of town this weekend. Our deepest sympathy to the family. I would have loved to have taken the time to hear more of our family history from him.